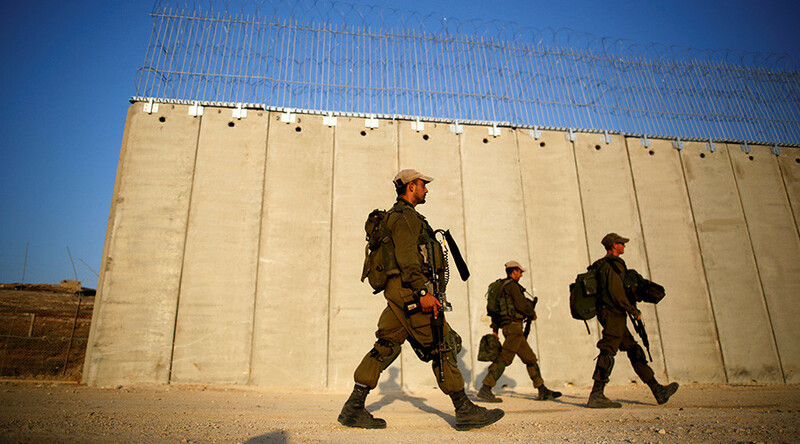 Israeli military engineers have erected additional 10 km of the West Bank wall that runs along the demarcation line and prevents Palestinians from crossing into Israel. While the Tel Aviv government calls it a security barrier, Palestinians slam it as an apartheid wall. The Israeli Defense Ministry has recently finished the construction of a 10-kilometer (6.2 miles) section of the barrier, the Jerusalem Post learned on Sunday. The rest of the 42 kilometers (26 miles) barrier that runs along the demarcation Green Line near Hebron Hills is set to be completed in the next six months. Once completed, the security barrier, located on the side of Road 35 in the West Bank, will fortify a segment which starts at the Tarqumiya checkpoint in western Hebron and extends southward to the Meitar checkpoint on the Green Line, through which Palestinians with the right permits can enter into Israel for work or other reasons. Benjamin Netanyahu pledged to fortify the “gaps” of the West Bank security barrier during his visit to the area in July. The following month, IDF Chief of Staff Gadi Eisenkot argued there was an urgent need to close the gap in the area to prevent some 50,000-60,000 Palestinians from entering Israel illegally daily. 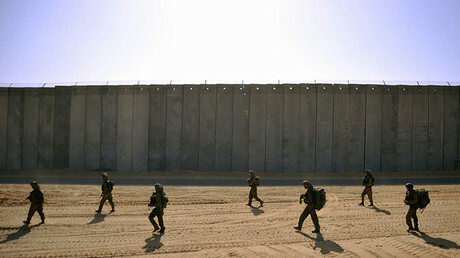 Eisenkot said that the concrete wall will also reduce terror attacks by Palestinians on Israelis. 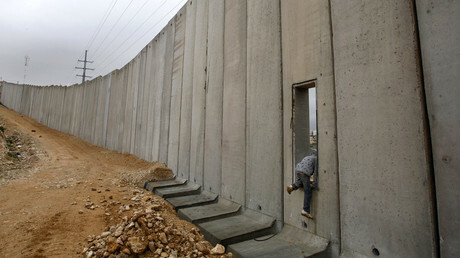 The Israeli West Bank barrier construction started during the Second Intifada in the year 2000. However, erection of the wall there was almost entirely halted in 2007, with over 300 kilometers of “gaps” remaining. The Israeli government views the fence as necessary step to stop the wave of violence inside Israel and as a vital measure against terrorism. Palestinians view the wall through a prism of racial segregation and call it an apartheid wall. Some sections of the 708 km (440mi) Israeli West Bank barrier are constructed of concrete blocks of up to 8 meters (26 ft) high. Concrete construction segments are more common in urban settings and in areas where people have been killed by snipers. The majority of the barrier, however, is constructed using a multi-layered fence system. It contains a lighter-weight fence in the middle which has intrusion detection equipment and an anti-vehicle ditch. The middle fence is then surrounded by barbed wire on the two outer fences.